"Faith in Brittany will not tarnish its flower, in spite of the course of insolence and of so many terrible threats on lips, the ungodliness of which knows of no more boundaries. "For five different times Brittany will be deadly threatened and on the verge of a fatal crumbling down. Under threats, all will strive to take to flight. That blow will strike only at the heart; but the soul and mind will not be reached by it. "Five times Brittany will be walked across and across again by those who spread disorder in every direction. "On the fifth time, the last one, the fiery enemy will stop short with his troops which cannot be numbered; he will be the enemy to earth, the enemy to religion, the enemy to the Church. Along his marching, very few people there will be – Christian or otherwise – to escape their claws and their heartlessness. "Other allies, perhaps by the millions, will join our murderers and plunderers in that marching which will include, I would say, the whole of France. After they spread disorder and disaster on every side, most of them will come up towards the southern part of Brittany. "Straight in front of them, facing them and countering them, will stand a granite cross, ornated with artistic craft. That cross is planted between that land of Brittany and the other one, which is no part of it; this is the boundary. The very foot of the cross sinks into the soil which does not belong to Brittany." [To be continued next week]. [Source: The Prophecies of La Fraudais, p. 123]. In this prophecy we see that Brittany is to endure some sufferings and persecutions, similar to what is being felt by all of mankind around the world. An example is two summers ago, when the present perverse French politicians declared that all mentally ill street people from Paris would be sent into Brittany (to roam the countryside at will) as this area offers a healthier way of life. Those who “wish to spread disorder in every direction” are truly trying to destroy all of France, all of Europe, and, indeed, all of the Christian world which Charlemagne has already historically established. On the fifth and last attack upon France, there will be war with an army that is “the enemy to religion, the enemy to the Church”, and thus, the army of antichrist. This murderous fiend’s troops will come right up to Brittany: “the fiery enemy will stop short with his troops which cannot be numbered”. 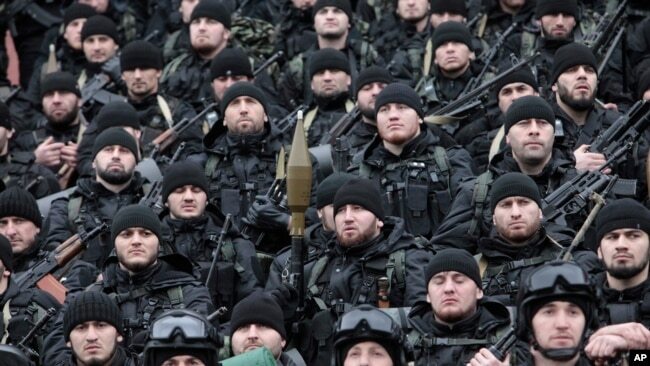 Photo: This is what a Russian Special Forces ground troop deployment looks like. 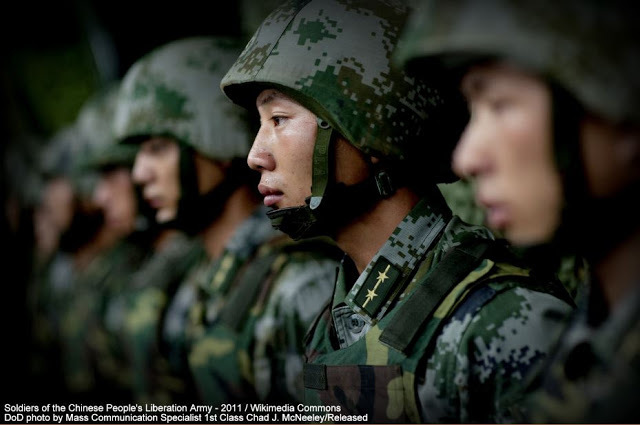 Photo: A deployment of Chinese troops would be vast indeed. Yes, France, the land of so many great Saints and the Eldest Daughter of the Church, after being a willing instigator in the persecutions against the spotless Bride of Christ, persecutions which have led to the Eclipse of the Papacy which we still suffer today, will pay dearly for her crimes.